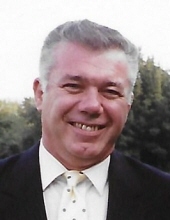 George J. Azar, of Cherry Hill, NJ passed away peacefully with family on November 21, 2018 at the age of 77. Loving husband of Kay (nee Forrest), father of Todd (Heidi) and Robyn (Steve) and "Pop" to Andrew, Zach, Ryan, Jake, Kyle and Hannah. George was originally from Johnstown, PA where he was the oldest of 6 siblings (Janet, Jim, Kathy, Mary Beth and David (deceased). He excelled as a 3 sport athlete including a state wrestling championship and all-state honors in football. George also held the local home run record in baseball which stood for over 30 years. George's career continued at Michigan State University where he played football and baseball, as well as met his wife Kay (55 years). His professional career included stints as a football and wrestling coach at Lafayette College and an assistant coach to Harry Gamble at the University of Pennsylvania. His last stop was an executive position with the Philadelphia Eagles. George's happiest moments came when attending various sporting events of his children and grandchildren. His first and last appearance at the local little league spanned 45 years. Visitation will be held from 9:00AM-11:00AM on Friday November 30, 2018 at Trinity Presbyterian Church located at 499 Marlton Pike East, Cherry Hill, NJ 08034, immediately followed by a memorial service and then internment at Locustwood Memorial Park located at 1500 Rt. 70 West, Cherry Hill, NJ 08002. In lieu of flowers, donations are welcome in the name of George to Trinity Presbyterian Church or The Leukemia & Lymphoma Society located at 100 N. 20th Street, Philadelphia, PA 19103. To send flowers or a remembrance gift to the family of George J. Azar, please visit our Tribute Store. "Email Address" would like to share the life celebration of George J. Azar. Click on the "link" to go to share a favorite memory or leave a condolence message for the family.